For no reason other than coincidence the last two games I’ve played through have both been movie tie-ins. Avatar left me feeling blue, while Wolverine had me seeing red. That’s seeing red as in blood and gore… not as in feeling angry. About an hour into X-Men Origins: Wolverine I had a rather vicious scuffle. This involved Wolverine blowing a soldier’s head off with his own shotgun before decapitating another chap and then leaping onto a helicopter, pulling the pilot out through the window, and then sticking his head in the propellers. It wasn’t until this point that it realised it was an 18 rated game. There’s nothing wrong with that, of course, but I found it surprising. The film was a 12 so you would have thought that Activision would have kept it to the same age rating. Fair play to them though for choosing otherwise. 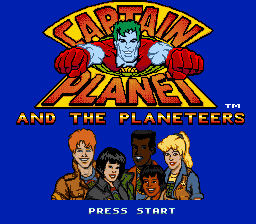 For a movie tie-in it’s really nicely made – when you come across a big group of enemies and think to yourself “Hurrah, more bad guys to kill” you know the developers have done something right. As well as combos, grapples, super moves, counters and the like you can also impale enemies on spikes, ram their heads into cement mixers and throw them off rooftops. The way how Wolverine’s flesh re-generates itself after being torn clean off his metal bones is pretty nifty. 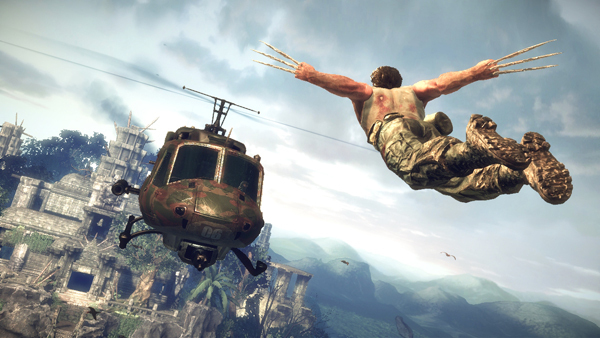 Boss battles are creative too – the battle against Sentinel starts on the ground and ends up in space with Wolverine free falling towards Earth. The RPG elements also fit in perfectly rather than feeling tacked on for the sake of it. If you’re looking for something similar to God of War for the Xbox 360 then look no further. Then we have the stupidly titled James Cameron’s Avatar: The Game. I enjoyed the first hour or two of this – you’re given the chance to play as an RDA solider and one of the Na’vi to get the feel of each, then at the end of the prologue there’s a twist and you’re forced to choose who to play as. I went for the Na’vi because destroying the planet would make Captain Planet cry. I also think I’ve played enough games through the eyes of a solider to last a lifetime. After an hour of fetch quests and running around maze-like jungle environments repetition soon kicked in. There isn’t much more to it then going to a place on the map, killing the opposition, and then traveling back to where you came from. The AI is laughable – they say things like “I think I heard something!” as you’re whacking them with an axe. Amazingly, people are still playing online. I had a quick bash but it seemed woefully unbalanced: the RDA have armoured walkers and grenade launchers; the Na’vi have bows and arrows, swords and axes. Capture the Flag matches seemed like nothing but an exercise in tedium. It takes ages to get to get to the enemy bases and then you die from just one or two shots. I can only assume that people are playing it to get the achievements. I picked up a cheap copy of Wolverine last year (first time in ages I bought something that wasn’t a new release). It was surprisingly good, really satisfying combat, reminded me of some old Megadrive games. Played it through to completion, then got God of War III shortly after… I actually found Wolverine a lot more entertaining, only made it about halfway through GoW.